I've been quite the busy little bee getting these hats ready for the weekend. We didn't end up going to the Food Festival but we had a great weekend nonetheless. On Saturday I took a trip out to Spotlight with my favourite sister, Tamsyn. I picked up the interfacing and a spool of thread. We oohed and ahhed over various fabrics but managed to restrain ourselves to what we needed! The hats went together very easily and by Sunday morning I was done. The most time consuming bit was topstitching the brim but I love the look that it gives. I'll admit I struggled with the blind hand-stitching but I think I got the hang of it in the end. 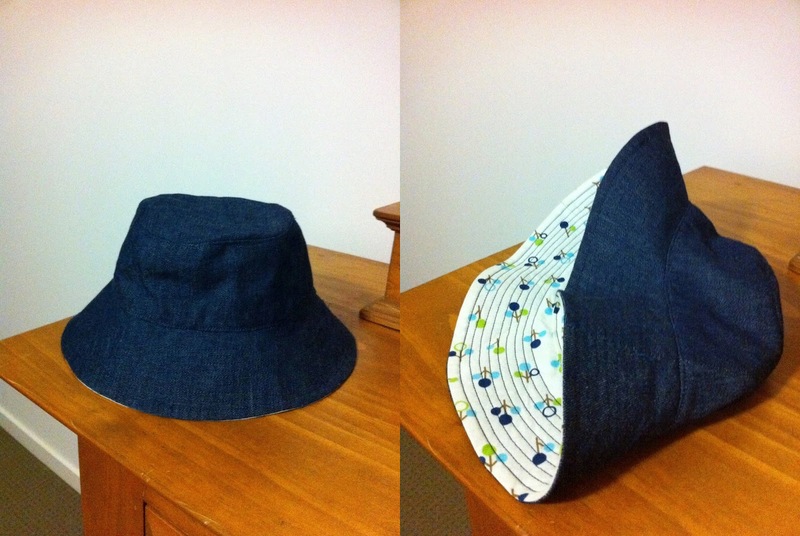 Technically the hats are reversible but they will probably alway be worn denim side out. 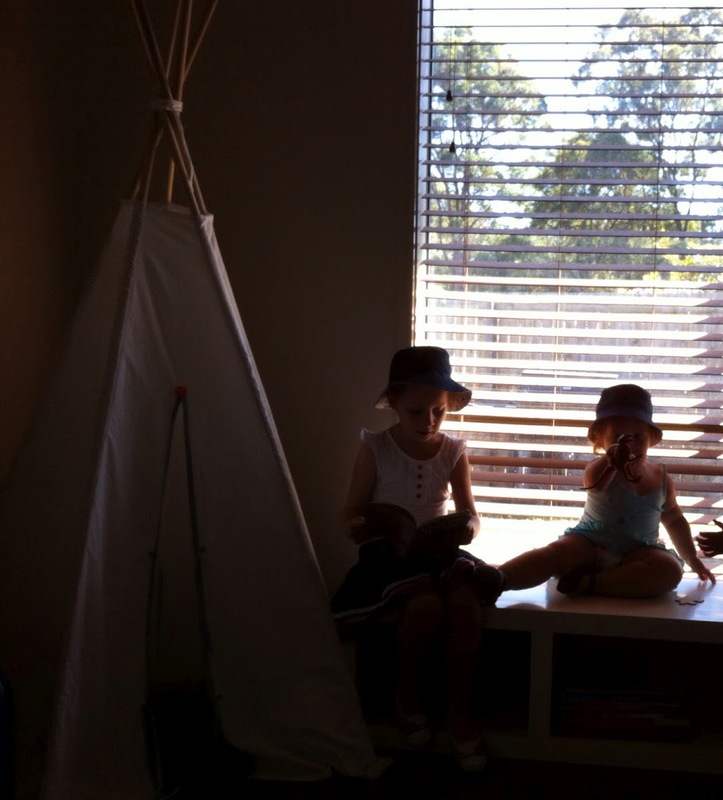 The girls loved the fact that I was making them hats. Throughout the construction Emily would wander off with bits of them and I would have to go and find them. When the hats were done and ready to be worn they both wanted to wear them straight away. We headed over to Tam's house so we could work on a wall hanging for above Ava's bed this morning (more to come later). They wore them the whole time we were inside! But they found it a bit harder to keep them on while jumping on the trampoline! 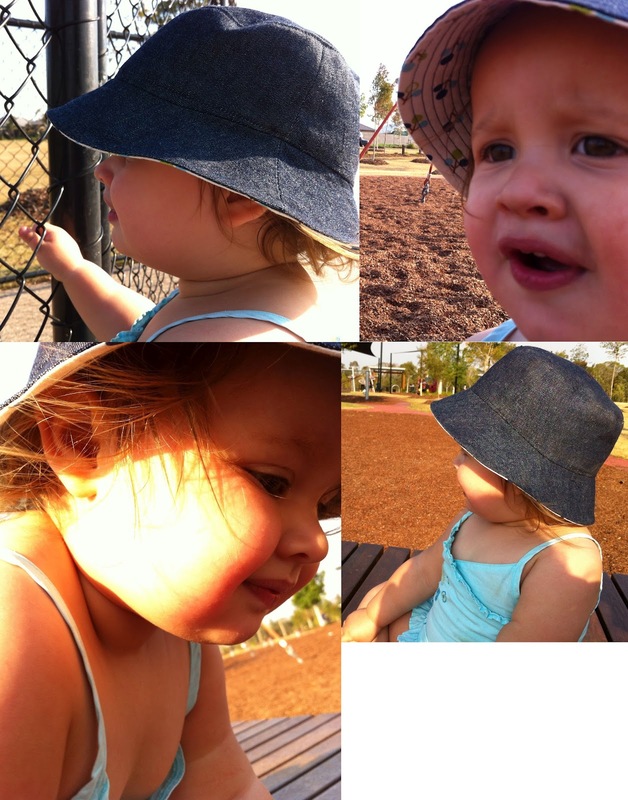 Later on this afternoon we headed out to the park so they could have a play. I tried to get some more photos of them wearing them but most of the time they were too busy having fun. Ava loves her new hat and was happy to pose for a few shots. Emily on the hand would not keep still and so this is the best of the bunch in terms of photos. Lots of side shots. It's funny she would look at me and smile but as soon as I tried to take a photo something would distract her. Toddler fun! I'm really happy with how they turned out. It's definitely a pattern I will make again and an easy weekend project. Thanks Carmel! I must figure out how to upload them to the Flicker group, not sure if I have an account?